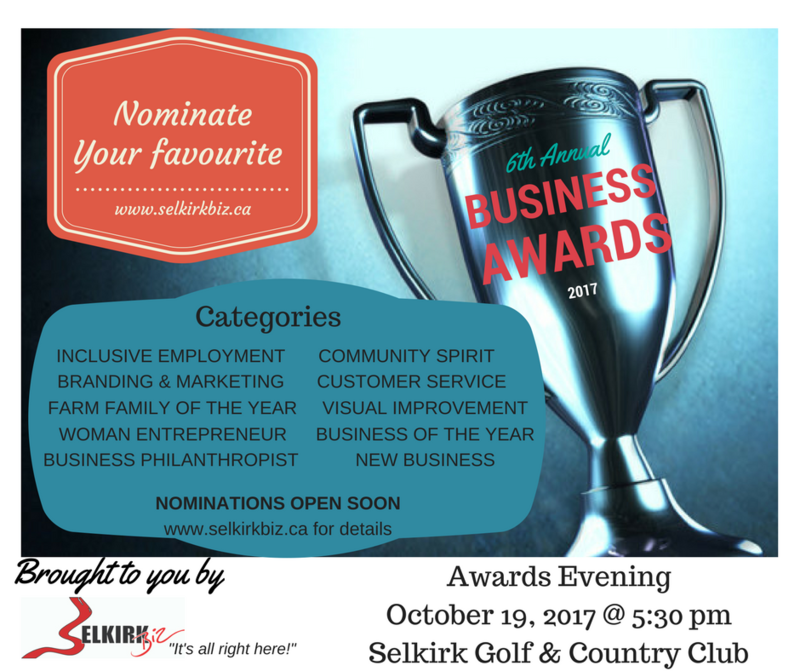 The 6th annual Biz Awards will be held on October 19th 2017 @ 5:30 at the Selkirk Golf and Country Club. Tickets - $65 for members of Selkirk Biz and $75 for non-members. Nomination are now closed - good luck to all nominees!